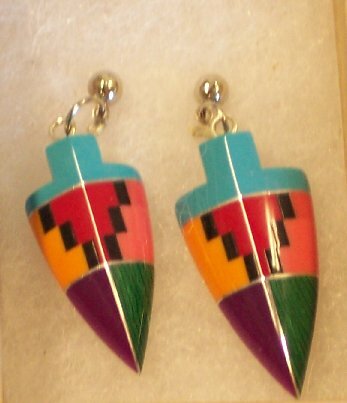 Multiple earring style options are available here which incorporate a handcrafted arrowhead made to your specifications. Since these are Custom Hand-made there can be a delay of a few weeks in fulfillment. Selection of "Artist's Choice" under the options provided can reduce this fulfillment time significantly. Because of the time of manufacture, be aware that any order will have a month delay for shipping. A variety of Arrowhead charms grace these earring options. Here can be found Metal, Hematite or Slate Arrowhead Earrings. A wide selection of Beaded Earring options are available here. You can select by color and bead type in a wide array of materials. Dreamcatcher Earrings are available in a variety of colors. 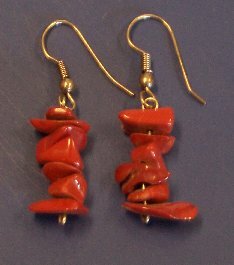 A variety of other earrings are available from Phoenix Obsidian Designs. 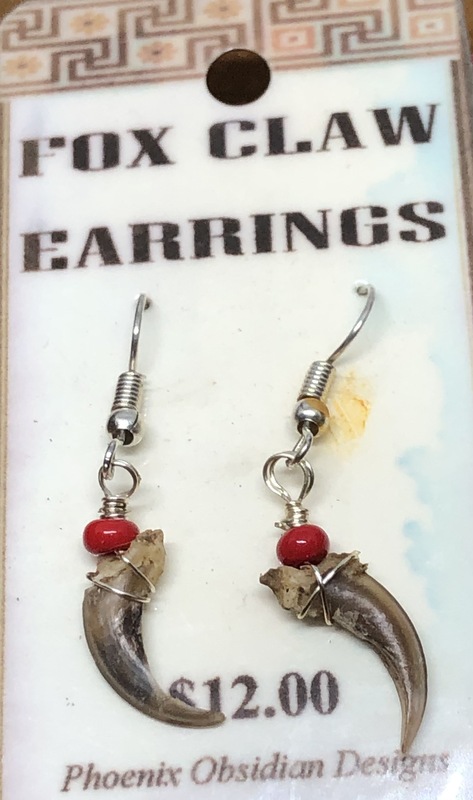 Found here are our full line of Natural Charm Earrings, Feather Earrings, Claw Earrings as well as many other unique charm options.